What you choose to eat and drink everyday has a significant effect on the health of your teeth and gums. Even with a proper dental care routine, consuming excessive amounts of foods that are bad for your teeth can lead to tooth decay and gum disease. Make an appointment with Dr. Robison today to maintain your good dental health. Robison Dental Group proudly serves patients throughout Canton, MI and the nearby communities of Ann Arbor, Northville, Westland and Plymouth. Calcium Rich Foods– Consuming at least 1000mg daily of high calcium foods like milk, cheese, yogurt, fish, kale and broccoli can help you maintain strong teeth and jaw bone. Vitamin C Rich Foods– Eating one piece of citrus fruit daily like oranges, grapefruits, tangerines or kiwi can help to protect you from developing gingivitis as the vitamin C in these fruits helps the body repair tissues and fight off infection. Tea and Tap Water– While drinking too much tea may stain your teeth, studies have shown that chemicals in black tea can reduce the growth of cavity-causing bacteria in dental plaque. Tap water contains fluoride, the same ingredient we use in our toothpastes to prevent tooth decay. Dried Fruits- They are both full of sugar and sticky. Unlike regular fruits, they don’t help you produce the amount of saliva needed to wash the sugar away from your teeth. They can also get stuck in hard to clean areas of your mouth which promotes bacteria growth and in turn, tooth decay. Sugary Drinks- This includes sodas, diet sodas, juices and sports drinks like Gatorade. Consuming these drinks bathes your teeth in acid that wears away the enamel. Consider cutting back on these drinks or at least using a straw to reduce the amount of acid hitting your teeth. Alcohol and Coffee- Excessive amounts of alcohol can decrease the natural amount of saliva in your mouth which promotes bacteria growth. Alcohol can also irritate your gum tissues. Coffee can make your teeth sticky, allowing plaque to build up and making them harder to keep clean. 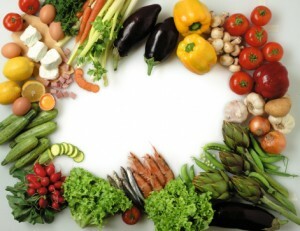 Moderation is the key to developing dietary habits that protect your dental health. You can be proactive with your dental care by consciously incorporating foods that promote healthy teeth and gums and cutting back on those that don’t. If you are concerned about how your diet is affecting your dental health, make an appointment with Dr. Robison today to discuss your concerns. Robison Dental Group proudly serves patients throughout Canton, MI and the nearby communities of Ann Arbor, Northville, Westland and Plymouth.